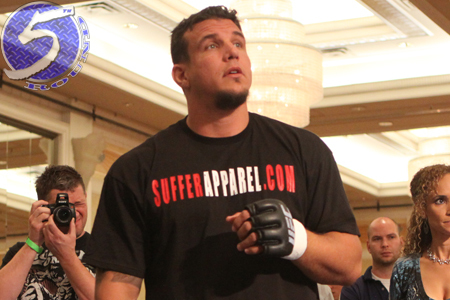 Without a doubt, this is do-or-die time for former heavyweight champion Frank Mir (pictured). On Wednesday, it was announced Mir will be fighting for his UFC life against Antonio “Bigfoot” Silva at UFC 184. Staples Center in Los Angeles, California hosts the February 28 festivities. Mir is in the midst of a four-fight losing skid. Many thought the UFC would have cut Mir after his unanimous decision defeat to Alistair Overeem in February, but the promotion granted the veteran a reprieve. However, it would be hard to believe his bosses would give him another go with a loss to Silva. Silva was knocked out by Andrei Arlovski the last time he took center stage. It was his first bout since returning from a nine-month testosterone suspension. The Brazilian hasn’t won a bout since putting Overeem to sleep in February 2013.